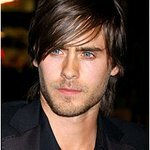 The recent tragedy in Haiti struck a chord in 30 Seconds to Mars front man Jared Leto. The actor and singer spent a year of his childhood residing in the Caribbean country and has not forgotten his “eye-opening” and “life changing” experience. In the wake of the violent Haitian earthquakes, Leto and his band mates have employed eBay to raise $100,100 for Haitian relief. The charity auction included concert tickets, an exclusive backstage meet and greet, and dinner with the band. Leto declares “the Haitian people are resilient people…. they’re survivors.” 30 Seconds to Mars has also supported the people of Haiti through the Echelon Project “House for Haiti” and the “Hope for Haiti Now” telethon.